The following is a guest post by The Serenity Journal. Halfway between Iceland and Scotland you'll find the Faroe Islands - 18 small, unspoiled islands populated by more sheep than people. 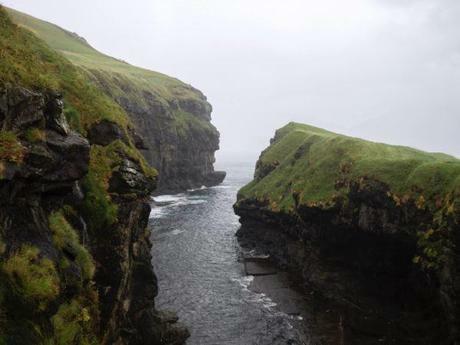 The Faroe Islands are a nature lover's paradise. Here you find amazing landscapes, incredible rock formations, rugged peaks, beautiful waterfalls, lush valleys and tiny villages with the most adorable turf houses. Despite its lack of size, the Scandinavian archipelago has plenty of interesting sights. In this Faroe Islands travel guide I will guide you to the six places that made my jaw drop when I visited, and that I believe you absolutely need to see when travelling the small country. Situated close to the airport on the island of Vágar, Gásadalur is the perfect place to start your Faroe Islands holiday. Gásadalur is a village with only 18 inhabitants who live in one of the most beautiful places on earth. The village is tucked between mountains in a green valley that serves as the perfect backdrop to the famous Múlafossur waterfall. 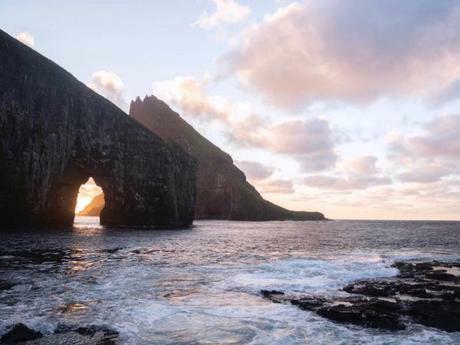 In the past few years, the place has become one of the Faroe Islands' biggest attractions, not least due to its sensational popularity on Instagram. Before 2004, Gásadalur was a hidden village that you could only reach by boat, via a 10-kilometre hike from the nearest town Sørvágur or by helicopter. Today, you can also access through a little tunnel, making it easy to get there by car. From the parking lot, it's only a short walk to the Múlafossur viewpoint. Even though only around 50.000 people live in the Faroe Islands, the Faroese people don't agree on what to call the archipelago's largest lake. Some people call it Leitisvatn and others call it Sørvagvatn. Regardless of its name, it needs to be explored. And the best way to do that is on foot. 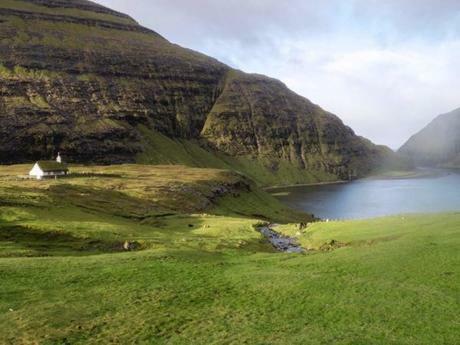 The hike starts in the little town Miðvágur on Vágar Island and brings you to particularly three points of interest along the way. The most amazing point is the spot from where it looks like the lake hangs above the ocean. In reality, you stand on a tall cliff and look back at the lake and the cliffs. The spot is located around 45 minutes on the route and is simply breathtaking. Trælanípa is another interesting spot along the lake. It's a 142-meter rock wall that Vikings pushed worn out slaves off the cliff; hence the name meaning slave cliff. Today, it's mostly used as the perfect place to snap a great photo of the rugged coastline. At the end of the lake, you find the beautiful waterfall Bøsdalafossur that thunders straight into the Atlantic Ocean below. The hike is five kilometres long and takes around 1,5 hours to complete. Most of the time you walk on a gravel path, making it fairly easy. However, it can be quite muddy and slippery, so it's a good idea to wear shoes with a good grip. In addition, the area is quite open and there are no fences around the steep cliffs. So be careful and hike with caution, especially if it's really windy or foggy (as it often is thereabouts). No visit to the Faroe Islands, without seeing Drangarnir up close. The spectacular sea stacks are situated between the interestingly looking islet of Tindhólmur and Vágar island and can be reached either by boat or on foot. For the ultimate experience, you should do the latter. The hike to Drangarnir is 12 kilometres long and is fairly challenging. Most of the time you walk on narrow sheep tracks on a cliffside. Especially the last third is difficult, as the cliffside is quite steep. However, when you reach the end of the cliff, you are rewarded with the most amazing views of Drangarnir in the foreground and Tindhólmur in the back. If you along the way questioned why you decided to do the hike, you won't anymore. It's simply breathtaking. If you do the hike on a sunny day, I can highly recommend staying there until sunset for an even more spectacular view of the sea stacks and the islet. 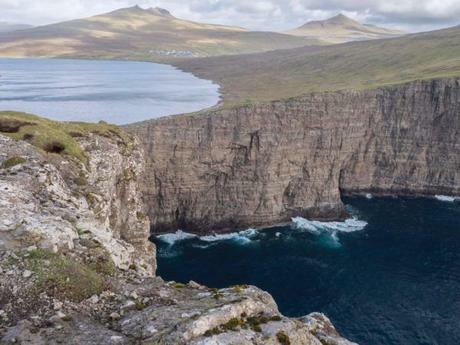 Most hikes in the Faroe Islands are free of charge, but as you walk on private land to reach Drangarnir, the hike costs 550 DKK or approximately 80 USD. Tucked between mountains and the ocean on the island of Eysturoy, you find the charming little village of Gjógv. Gjógv means gorge in Faroese, and therefore it probably won't come as a surprise to you that the highlight of the village is the 200-meter gorge that is situated in Gjógv. The gorge serves as a tiny harbour and has been vital for the inhabitants, as it's been the only way to reach Gjógv until the 1960s. Today, you can drive the scenic winding mountain road to get there, which is what most people do. You should definitely explore the gorge and the surrounding area from the viewing points, but make sure to also devote some time to walk around the little streets and explore the many colourful houses in the village. There are tons of beautiful places in the Faroe Islands, but the one that amazed me the most with its beauty was Saksun. Saksun is a tiny village situated on the northern side of Streymoy island between tall mountains and an idyllic lagoon. The lagoon was up until the 1600s an inlet connected to the ocean and made up for a great natural harbour. You can hike along the shore to the ocean and be blown away by the amazing views of the picturesque village that serves as an idyllic backdrop to the lagoon in the front. Despite exploring the lagoon, you should also experience the characteristic church and the pretty turf houses in Saksun. 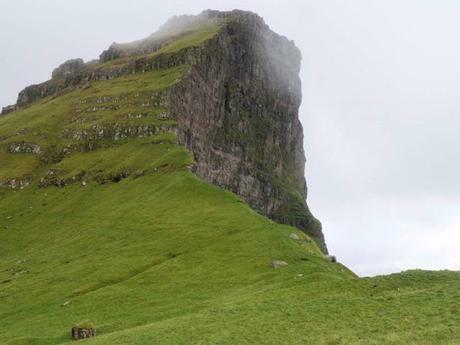 On the little island of Kalsoy that can only be reached by ferry, you find one of the best hikes in the Faroe Islands, the hike to Kallur Lighthouse. The hike starts in Trøllanes village and brings you to the Kallur Lighthouse with many spectacular views along the way. There is no road or path that leads to the lighthouse, but head north and you will walk in the right direction. Along the way, make sure to enjoy the many spectacular views of the neighbouring islands before you reach Kallur Lighthouse and have the most incredible 360° view of the area. If you dare, you can walk a narrow path to a cliffside and get a beautiful view of the lighthouse in the foreground and the 700-meter-tall cliff Cape Enniberg in the back. However, you should be careful as there is no security, and as with so many other places in the Faroe Islands, it's often windy, potentially making it quite dangerous. The hike to Kallur Lighthouse is a fairly easy five-kilometre walk that takes around 1,5 hours to complete. All the way you walk on grass that can be quite muddy and slippery, which is why shoes with a good grip are highly recommended. These were the six places of this Faroe Islands travel guide that I believe you absolutely need to see! 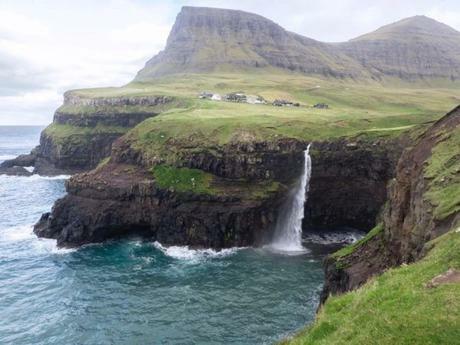 If you want to plan the perfect 5-day Faroe Islands road trip itinerary, click the previous link. 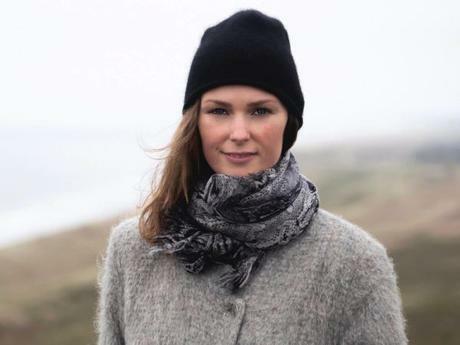 About the Author: Nicoline is an adventurous writer and photographer from Copenhagen, Denmark whose greatest passion is travel. On her travel blog, The Serenity Journal, she shares honest experiences, comprehensive guides, useful travel tips and compelling photos to help you travel better and more adventurously. Images were provided courtesy of The Serenity Journal.